Bangkok High is a video art film created by Indira Cesarine. 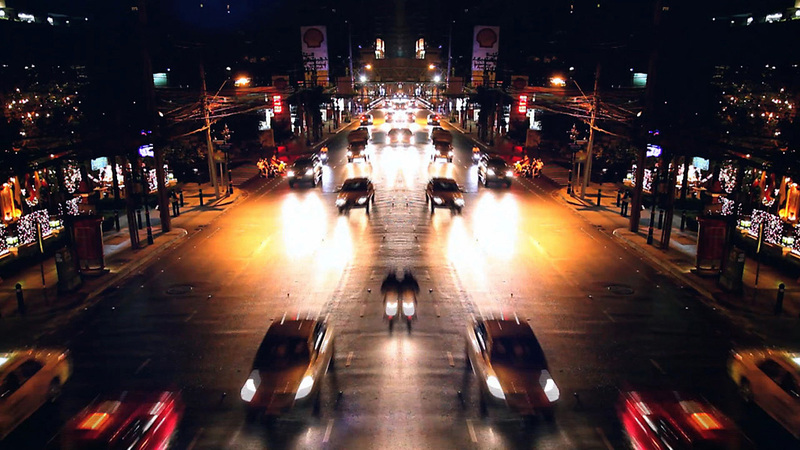 Filmed in Bangkok, visuals of traffic at night are transformed to create an orchestra of light that become a dance of order and chaos. The movement of headlights envelops the viewer in a cacophony of light and fleeting images evoking a hypnotic and surreal vision created out of the ordinary hum of traffic. Featuring music by Moby. DATE: 2010 LOCATION: Filmed in Bangkok MEDIUM: HD Video SCREENINGS: "Motion Deconstructed" exhibit by Quintessentially Art, XXXX Magazine "Voyage Issue"